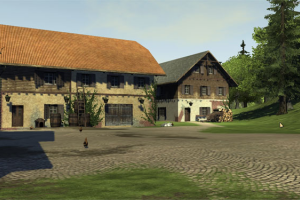 "A patch for the Agriculture Simulator 2012 game"
Elsewhere on Winportal we presented the latest sequel in the Agriculture Simulator series at the time of writing, namely Agriculture Simulator 2013, as well as the Agriculture Simulator Patch for this version. Nevertheless, you might stick to your 2012 Agriculture Simulator version for weeding your fields and taking care of a series of related tasks using all your skills to make profit running your farm. If you’re running Agriculture Simulator 2012 you might consider the Agriculture Simulator 2012 Patch presented here. It’s considered an update that fixes some bugs, improves some visual aspects and positively affects gameplay, so you can enjoy your game even more. So, if interested in getting the most out of your Agriculture Simulator 2012, proceed to the download of the dedicated Agriculture Simulator 2012 Patch.